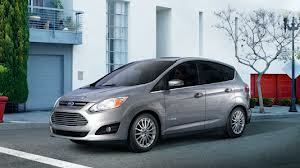 Has anyone driven a hybrid yet? I hadn’t and was pretty excited to do so – and also a little confused. I’m not familiar with how it works – I thought you had to plug it in and that was it. There are plug in models, but the one I got to drive just repowers itself using regenerative braking. Which means that the 95% of the power normally lost when braking is actually recovered and stored in the battery via the electric drive. What does that mean to the average person? Well, the car goes back and forth from gas to electric – which means big savings at the gas station! I was unfortunate to get the car on the coldest week we had… -40 almost the entire time we had it, and a few big snow storms. It did go in electric mode quite often, and it’s funny because it’s so silent that there’s actually a sign on the displays to tell you the car is up and running. I didn’t do any long trips with the car, but drove kiddo to school every day which means start stop start stop twice a day – and then of course running some errands and just some fun driving. I figured I wouldn’t go through much gas, but in the week I had it I barely even saw the gas gage needle move – you’d barely ever see the gas station again in the Cmax for sure. I was really curious to see how this car would perform during a bad week in Winnipeg – roads were barely plowed, and we happen to live on one of the only hills in Winnipeg…yes, it’s not a big hill but I’ve often seen people barely make it up our backlane in the winter. The car drove great, I even had to come to a complete stop in super deep snow and it was absolutely nothing to this car going uphill. It handled great on the roads, and I had zero problems with it all. I thought hybrids weren’t very powerful, but this drove exactly like any other vehicle. It has a lot of great features, like the extra little windows on the side – those were great to give you full coverage of the road. The sensors and backup camera are great too – I love how it lets you know when anyone is nearby. Amazing in the school pickup parking lot. It also has the park assist – which I was very curious to use in the winter. I was a little bit worried about this one I have to admit – white car, white uneven snowbanks. Well, I guess Ford thought of that too because it parked exactly like it would in the summer. The Cmax also has the handsfree liftgate which is probably my favourite feature – so nice to just kick your leg and have it open. Most convenient thing ever! I think the Ford Cmax is a great choice for someone really wanting to cutdown on gas costs with no extra effort.It’s a good size, in between a car and an Escape I’d say. I like the hatch too – so much more convenient for storing items and unpacking groceries etc. – especially with the magic door!